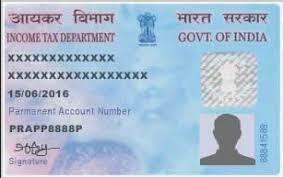 The Income Tax Department recently changed the PAN (permanent account number) card rules in order to prevent tax evasion. The new rules will come into effect from December 5, 2018. PAN, an unique 10-digit alphanumeric identity allotted to every taxpayer by the income tax (I-T) department, will now be mandatory for financial entities which make transactions worth Rs. 2.5 lakh or more in a financial year. The amended rules also provide that furnishing of father’s name will not be mandatory for a person whose mother is a single parent. 1. IT rules for specifying the time-line for making an application for allotment of PAN by certain persons and issuance of PAN has been amended. The application has to be filed on or before May 31 of the assessment year for which such income is assessable. 2. According to a notification issued by Central Board of Direct Taxes (CBDT), it will now be mandatory for every individual be it a managing director, director, partner, trustee, author, founder, karta, chief executive officer, principal officer or office bearer (or any such person who does not have PAN) to apply for PAN on or before May 31 of the following financial year. 3. With the new rules, resident entities will also now have to obtain PAN card even if the total sales, turnover or gross receipts are not likely to exceed Rs. 5 lakh in a financial year. 4. Furthermore, quoting father’s name for the pan applications would not be mandatory in cases where the mother of the applicant is a single parent. According to a previous rule, furnishing father’s name was necessary to avail Permanent Account Number (PAN). 5. Quoting of a PAN is required for financial transactions such as opening of a bank account and filing of income tax returns (ITR).